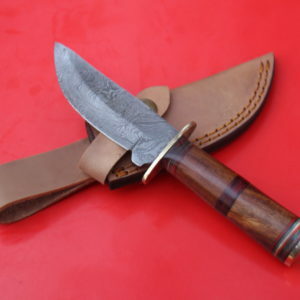 Materials; Damascus steel, leather sheath, Damascus Machete, hand forged steel, Damascus knife, Brass Bolster, Macarta Handle, Mosaic Pin, Inserting hole, 2 brass pins, everyday knife, gifting knife, hunting knife. 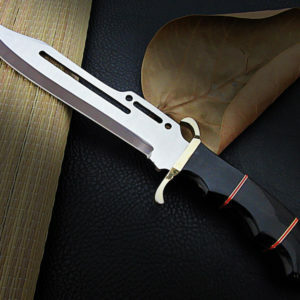 Fast and Free Shipping via USPS Priority Mail. 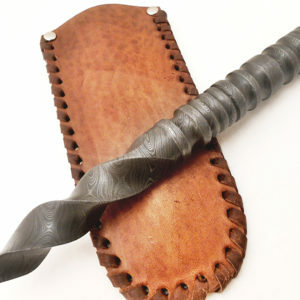 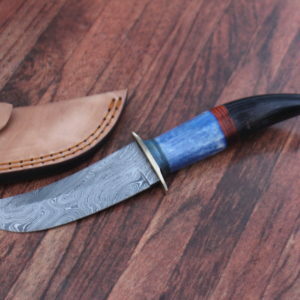 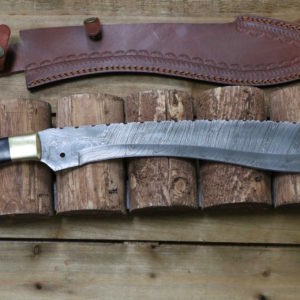 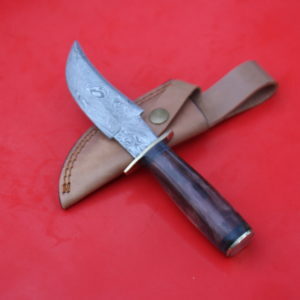 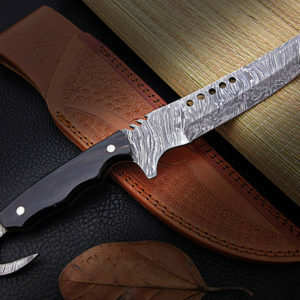 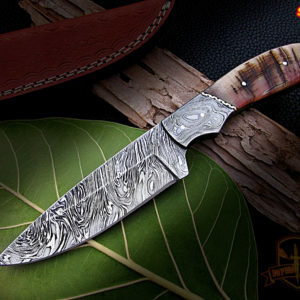 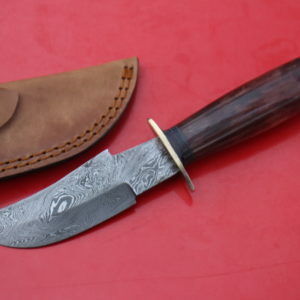 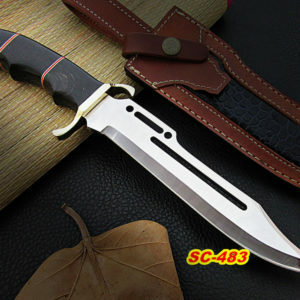 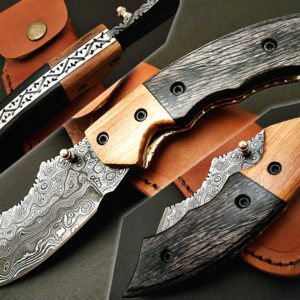 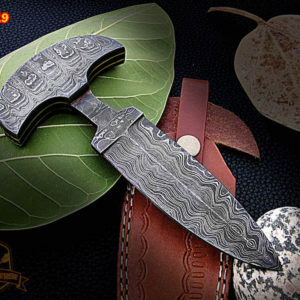 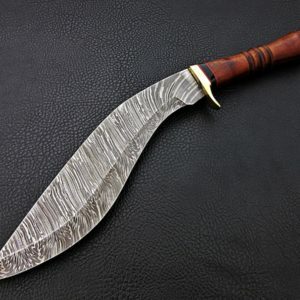 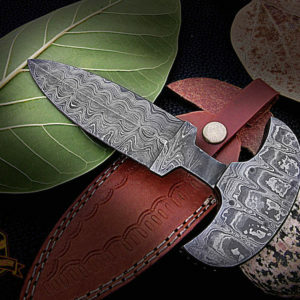 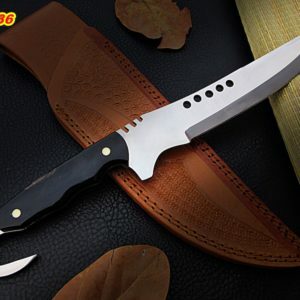 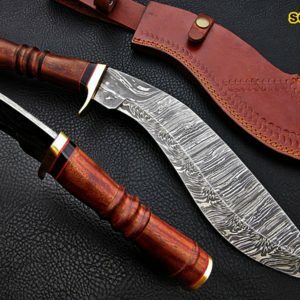 Materials; Damascus steel, leather sheath, Damascus knife, hand forged steel, hunting knife, skinner knife, gifting knife, camping knife, use as everyday knife. 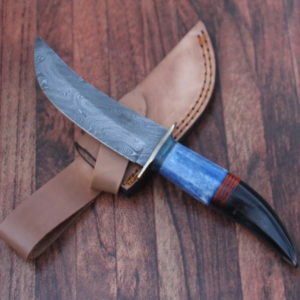 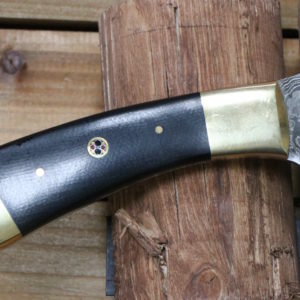 Materials; damascus steel, leather sheath, hand forged steel, buffalo bone, colored bone handle, inserting hole, brass finger guard, everyday knife, great gifting knife. 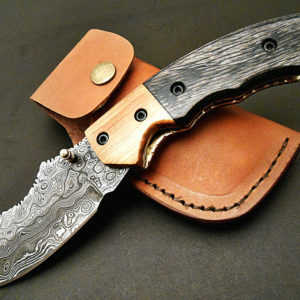 Materials; damascus steel, leather sheath, hand forged steel, rose wood handle, brass finger guard, everyday knife, great gifting knife. 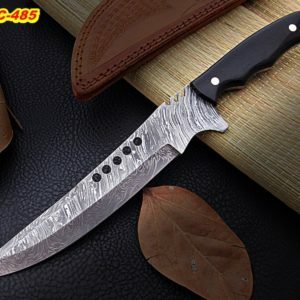 * This Popular ITEM IS SOLD OUT Accepting Orders will ship 4-6 weeks from Order Date. 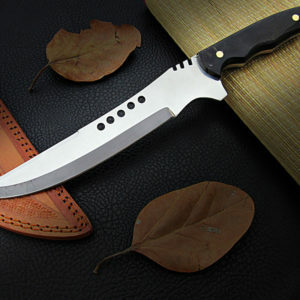 Free and Free shipping via USPS Priority Mail.